WHAT WILL OFCOM DO NEXT? Last Autumn, Ofcom were granted powers by the new Digital Economy Act to once again regulate ITV, Channel 4 and Channel 5 to take children’s and youth content. This was contingent on their analysis of the kids' content market in the UK - and basically a sense of whether enough variety and volume of new content was being produced for the younger audience. Ofcom’s Children’s Content Review last year identified squarely that there is still significant market failure in kids. Over the last ten years the number of hours and the amount of money spent has plummeted. After the review Ofcom wanted to see some changes, but they are also highly aware that circumstances have changed in the broadcasting market since the last time they regulated the PSBs to carry children's content back in 2003! They decided to take a more flexible approach in attempting to increase the range and amount of kids' content on public service broadcasting. They recognised the different ways in which children and teens watch content - at least to an extent - and recognising that all three public service broadcasters now have a range of outlets on TV and catch up services on the internet which are not regulated by Ofcom - at least not in terms of the type of content they must carry. Their self-described “creative approach” to regulation saw them write to the three commercial PSBs last year requiring them to come up with proposals for increasing their children's and youth output. Those proposals are now with the regulator and will be published before the end of April. 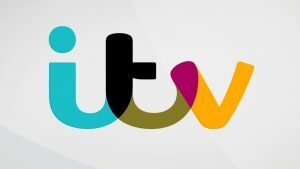 The CMF broadly agrees that insisting on more children’s content on ITV1, for example, is not the best way to serve the audience. Each of the PSBs has a different age range as its priority, and each has a range of outlets open to capturing more of those audience groups. 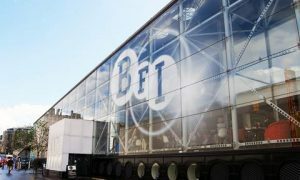 With the advent of content part-financed by the BFI Young Audiences Content Fund - it would seen like the perfect time for all three to take a new and ambitious approach to commissioning and funding new content. If Ofcom open up consultation on the proposals then CMF will of course respond. Meanwhile, the CMF event on May 9th, The Fund, Ofcom and the PSBs, will discuss the broadcasters’ proposals and find out from Ofcom, whether they match the needs of the depleted market and what action they will take in response.